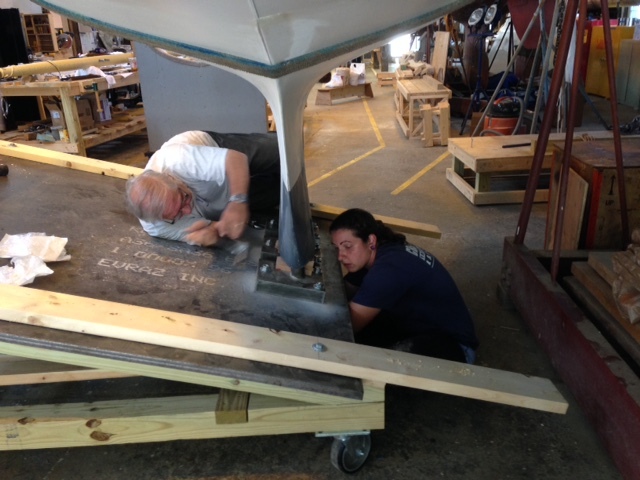 Today marked another major milestone: the first deck edge toe rail went in place. 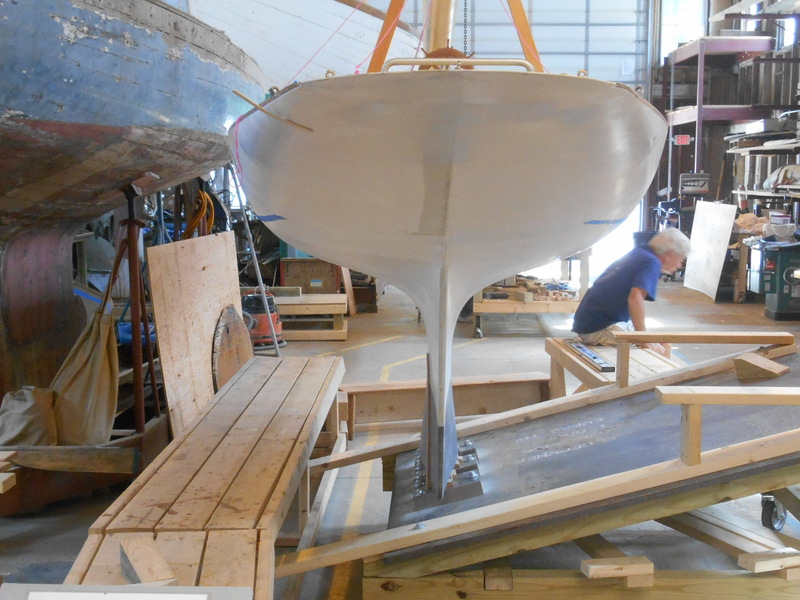 We still have the port side to do, but we have the process well-proven; though we still have a lot of faring work to get the new railing to flow evenly as a continuation of the shell plating, but we can see how it’ll all work together. 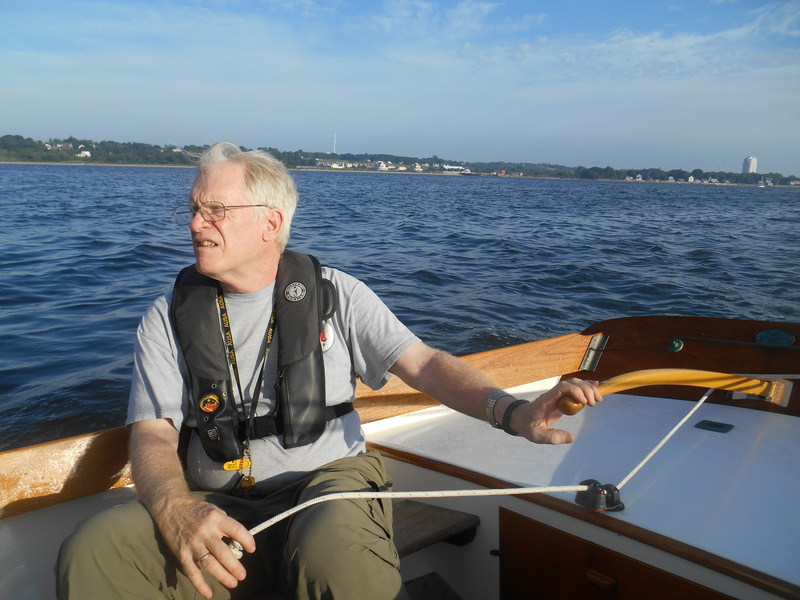 Whew, another risk milestone overcome! 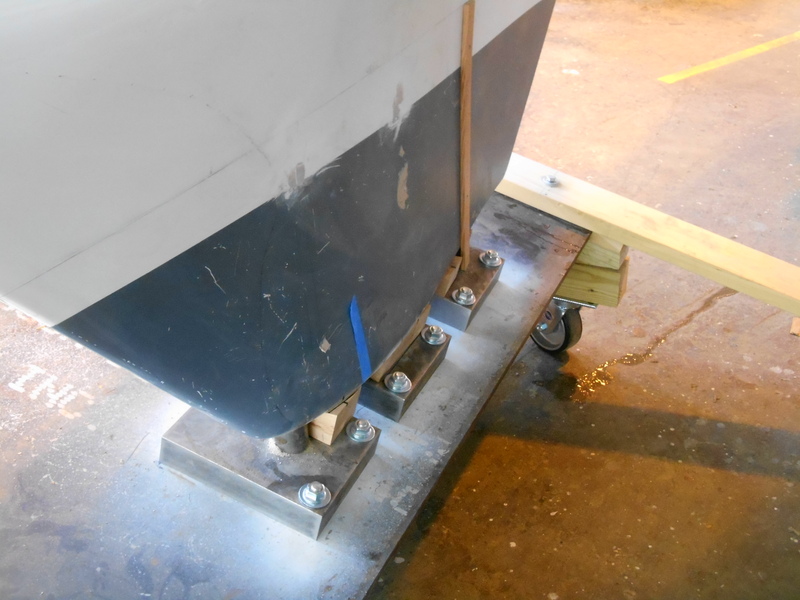 These rails really change RELIANCE ‘s profile. 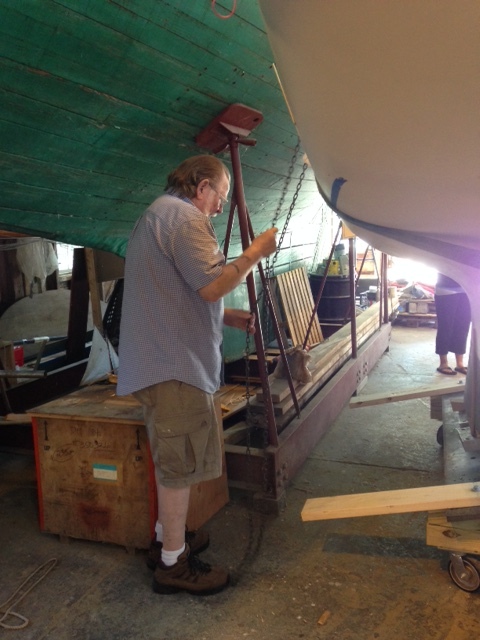 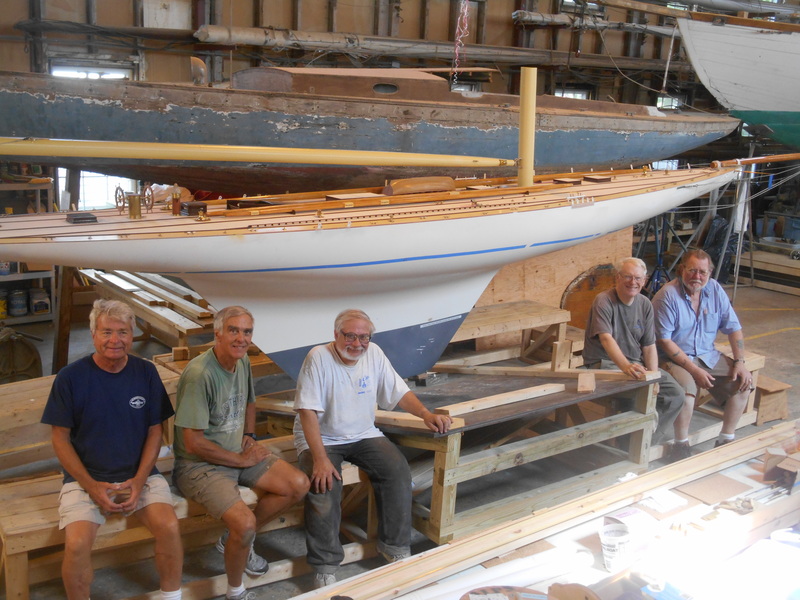 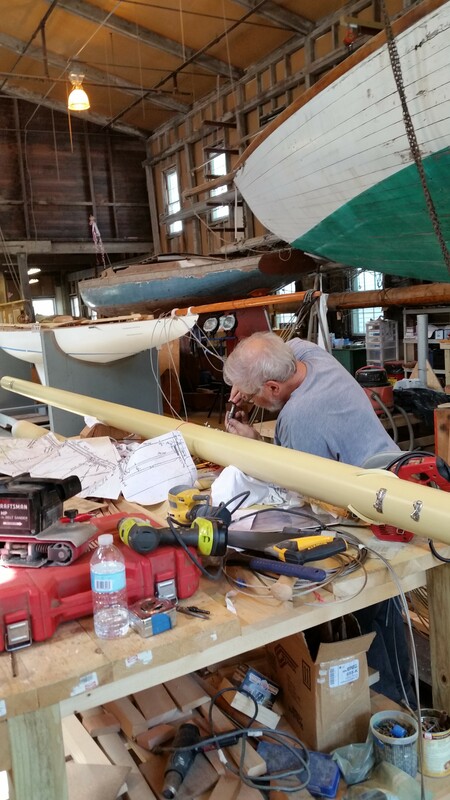 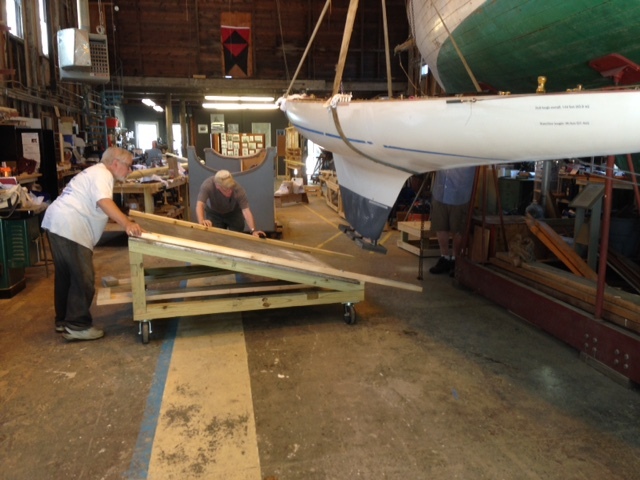 Keith and Bill, with help from Laura, Don, Sandy, and new volunteer Bern worked all day on the 24’ long starboard rail. 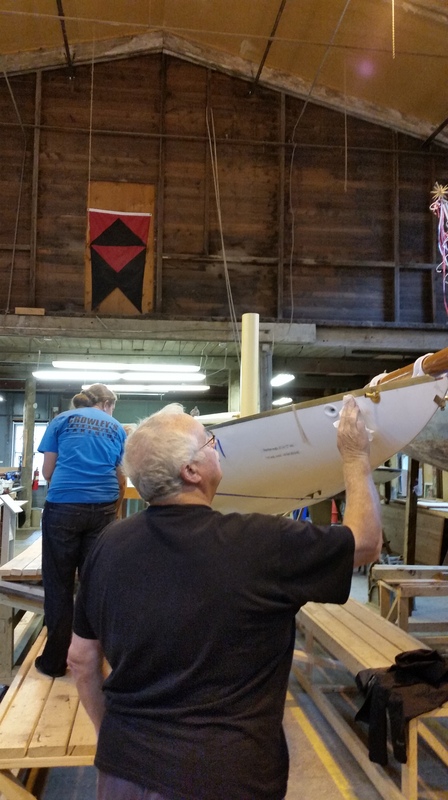 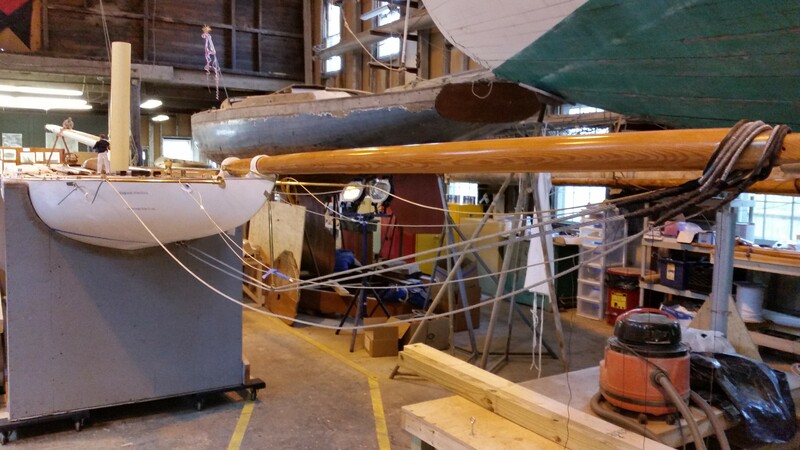 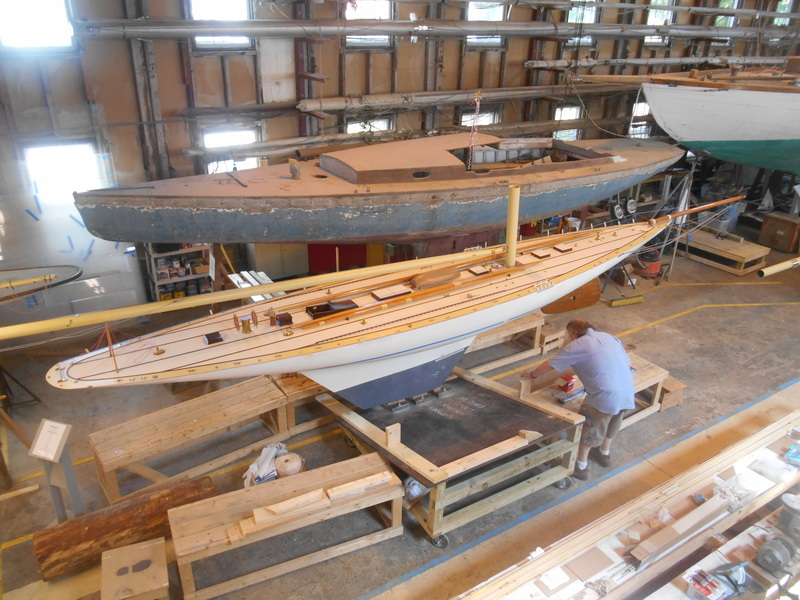 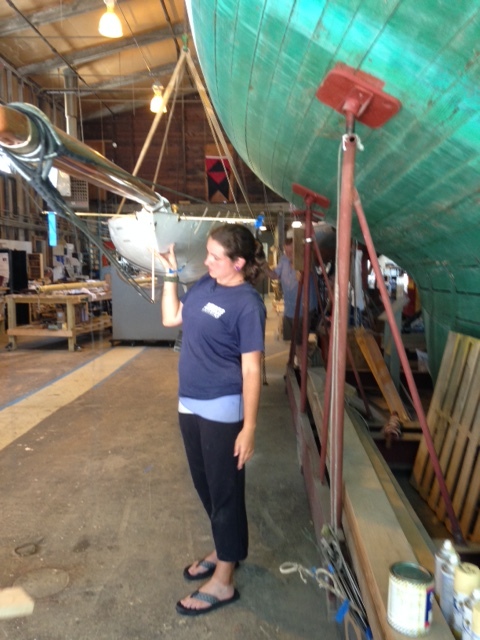 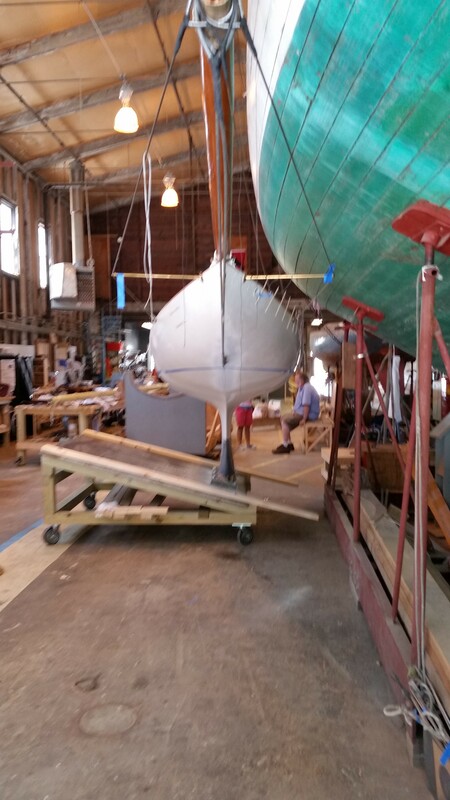 Bern has begun restoring the 1899 COLUMBIA topmast, which we’ll show in upcoming blog posts. 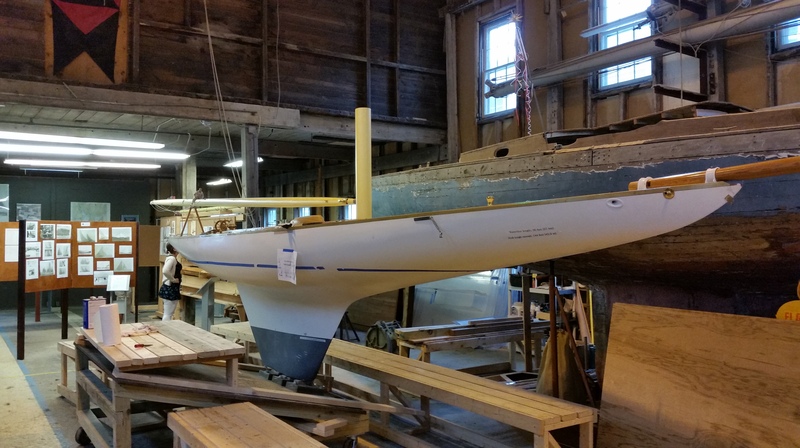 Turns out that COLUMBIA’S topmast truck served as the model for RELIANCE’s, so we’re looking at this with great interest. 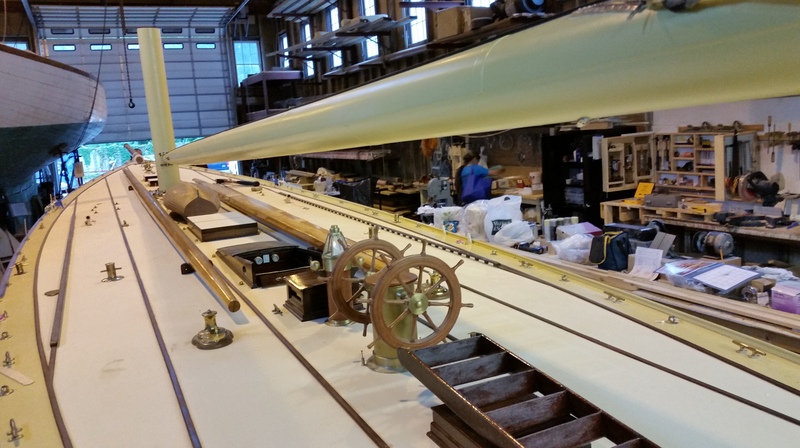 As an exhibit accompanying RELIANCE, our COLUMBIA topmast will also show how massive these spars really were. 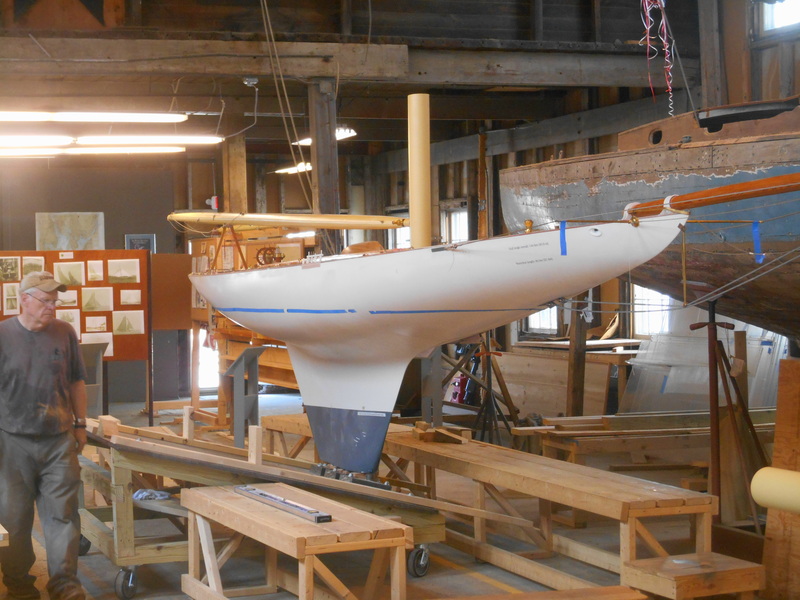 This entry was posted in Project Manager's Welcome and tagged America's Cup, bern, Bill Lawton, Bristol, building 28, COLUMBIA, deck edge, don, Herreshoff, Herreshoff Marine Museum, HMCo, Keith Bradley, laura, RELIANCE, Reliance Model, RELIANCE Project, Sandy Lee, topmast on August 13, 2015 by Herreshoff Marine Museum/America's Cup Hall of Fame. 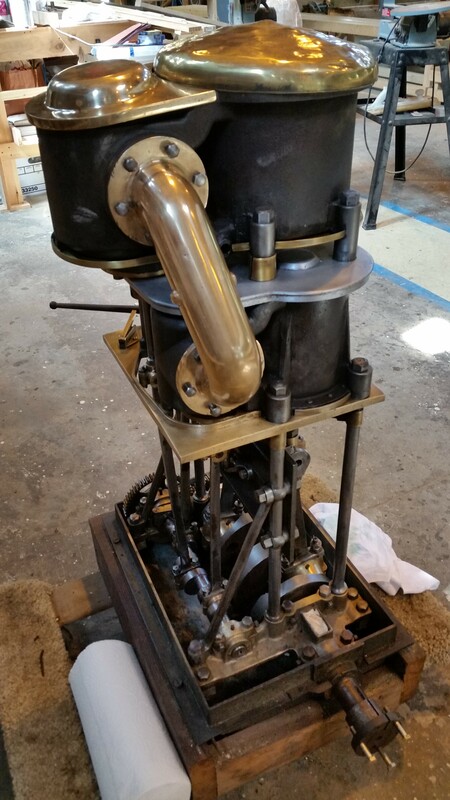 One of our crew members has been restoring a 1900 NGH designed triple expansion steeple engine, of a design that would power a 30-foot launch at 16-18 mph. 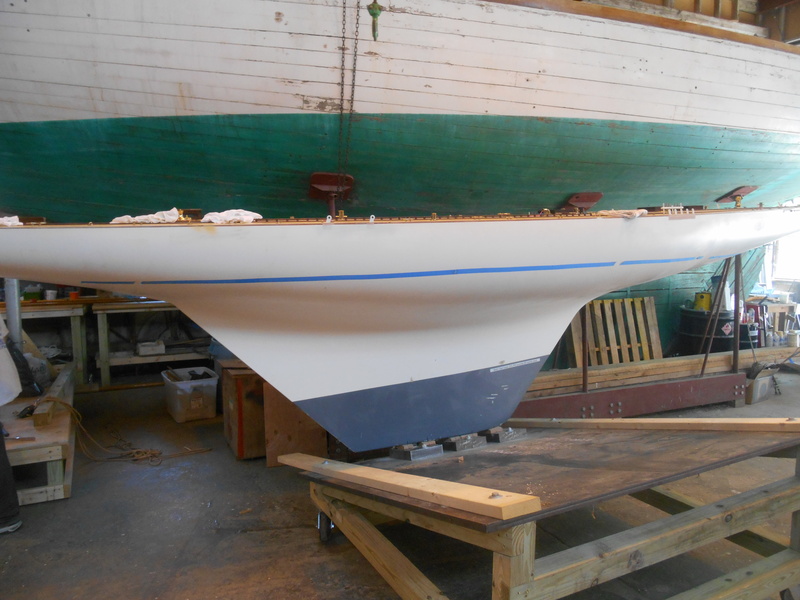 We thought you’d enjoy pictures of the before and in-process restoration. 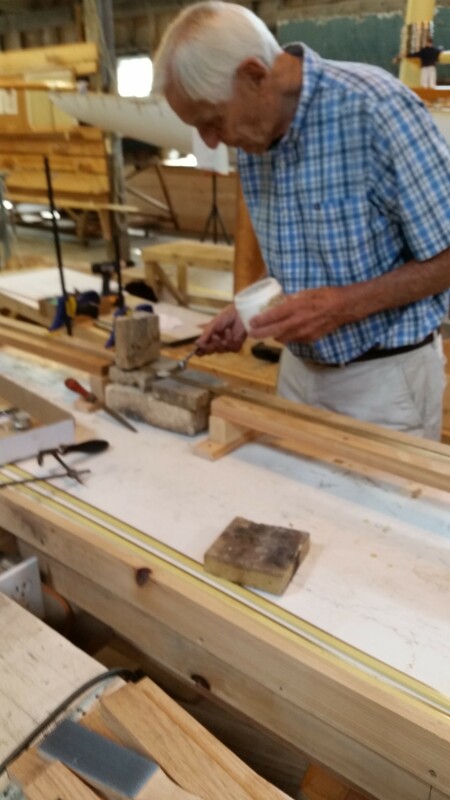 We think you’ll agree, Don is doing amazing work! 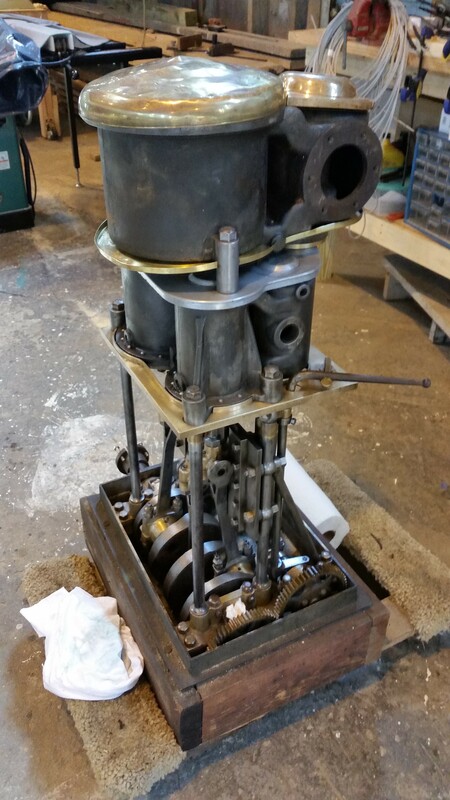 This engine has generated so much interest during tours of our shop, we thought we’d start a steam blog site which will be hosted by Mike, who is constructing the Museum’s new steam gallery with contributions from Don and hopefully you as well! 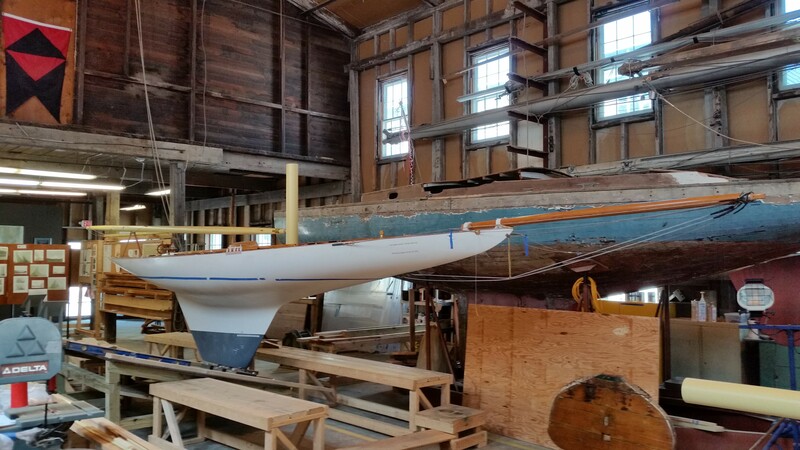 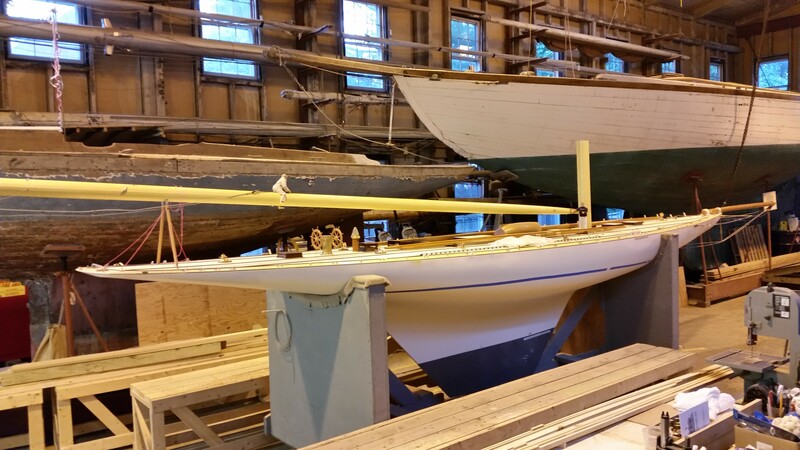 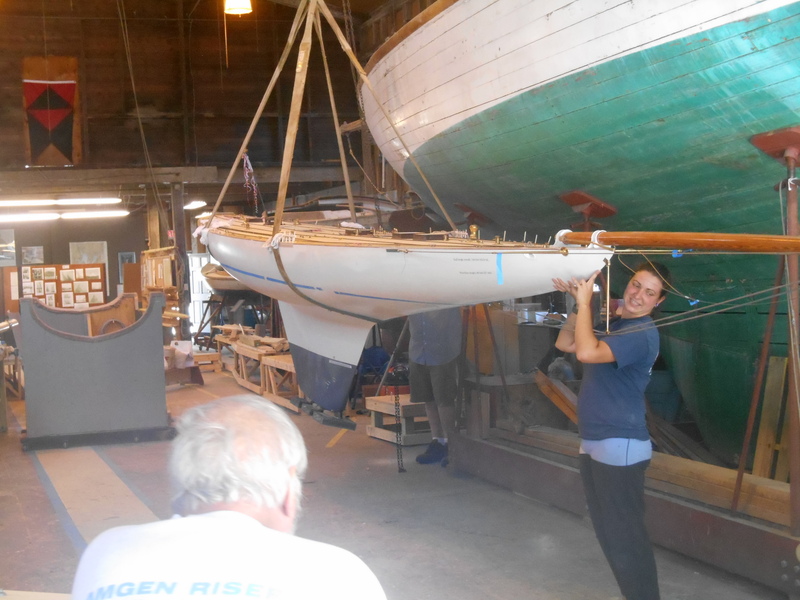 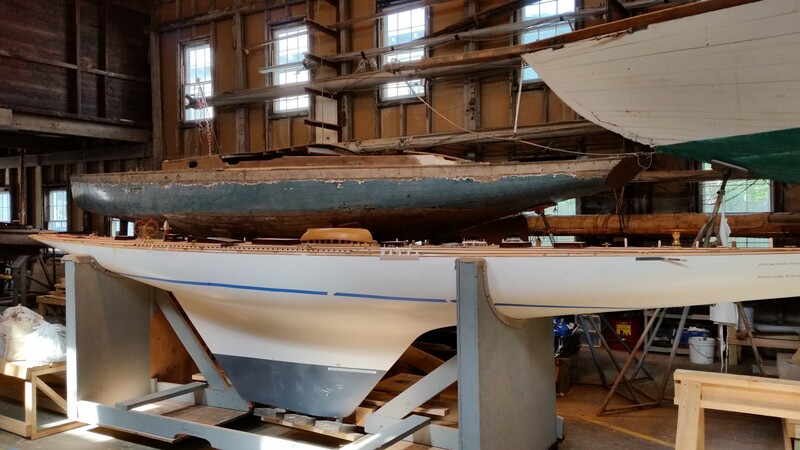 This entry was posted in Project Manager's Welcome and tagged America's Cup, blog site, Bristol, building 28, don, engine, Herreshoff, Herreshoff Marine Museum, HMCo, Mike Mirman, RELIANCE, Reliance Model, RELIANCE Project, steam, steeple on August 8, 2015 by Herreshoff Marine Museum/America's Cup Hall of Fame. 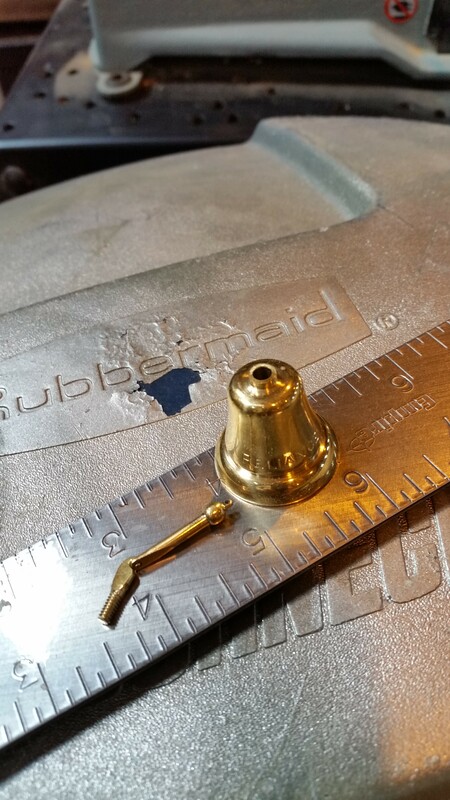 Burr is a true artisan. 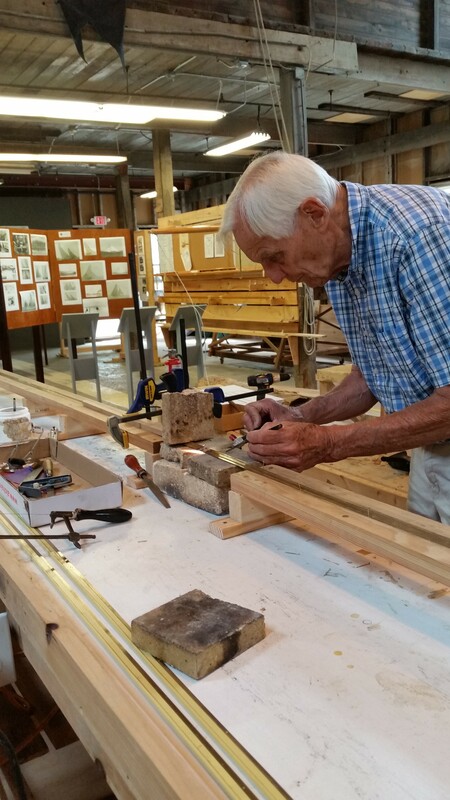 At 87 years old, he is as spry as someone half his age; he’s as sharp as a tack and has a great sense of humor! 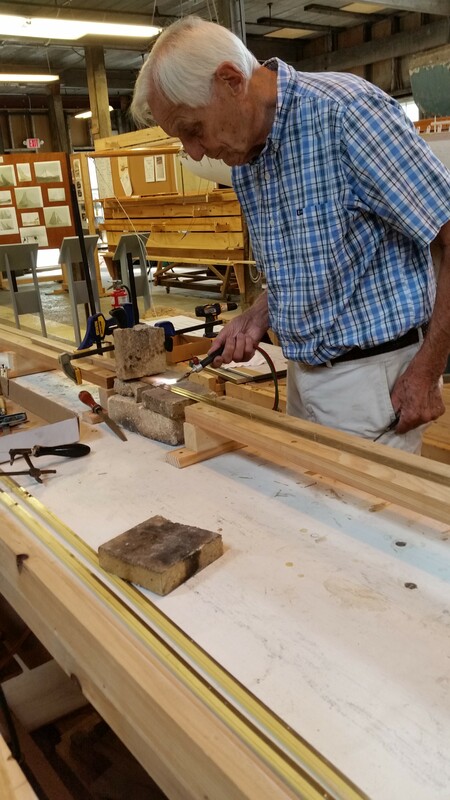 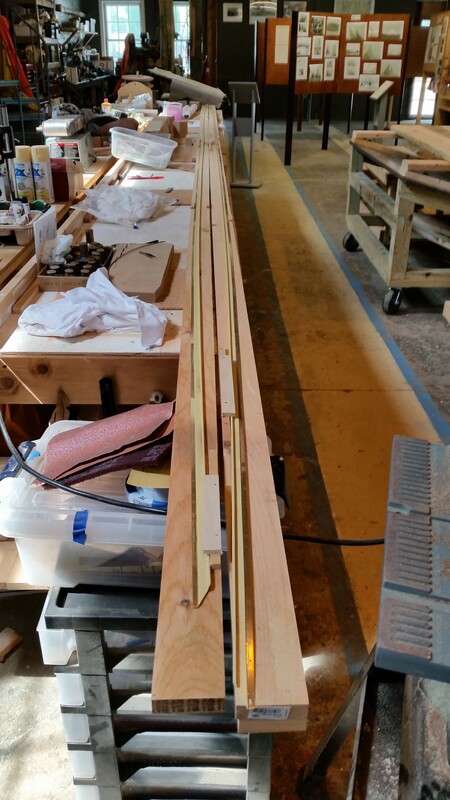 In an earlier blog we had mentioned making 12′ sections of the toe rails. 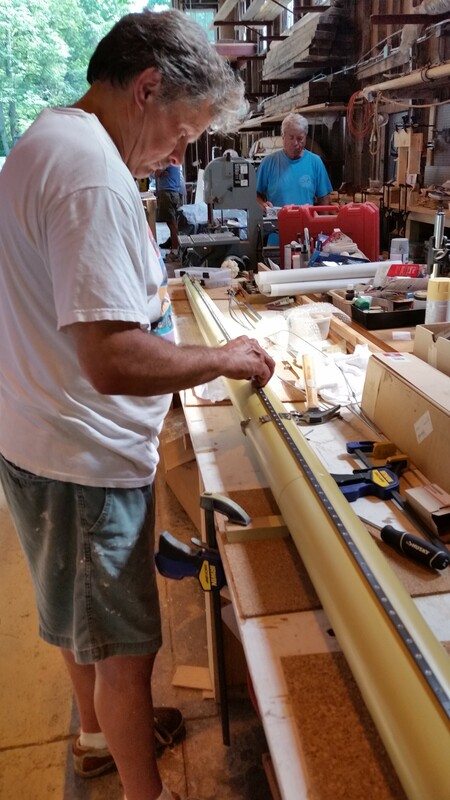 To make the full length seamless rails of 24′, Burr is shown making a “hard solder” joint. 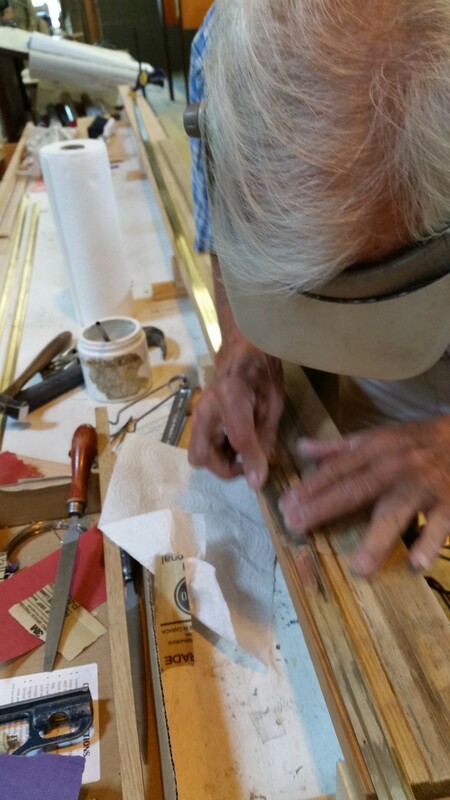 When he was done, no one could even find the joints! 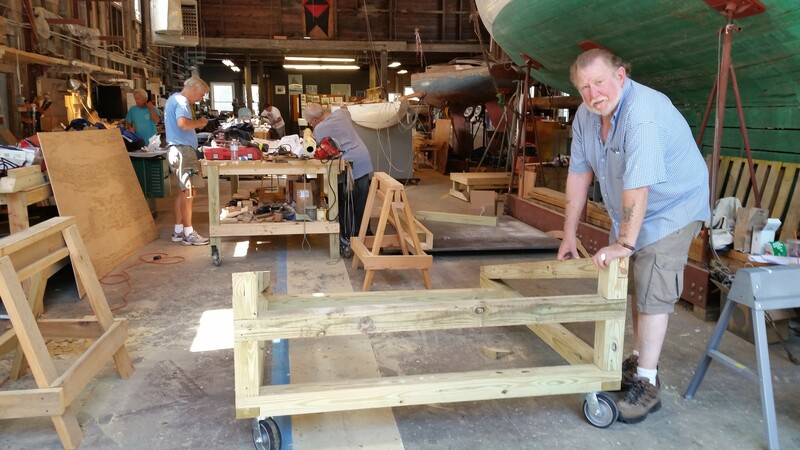 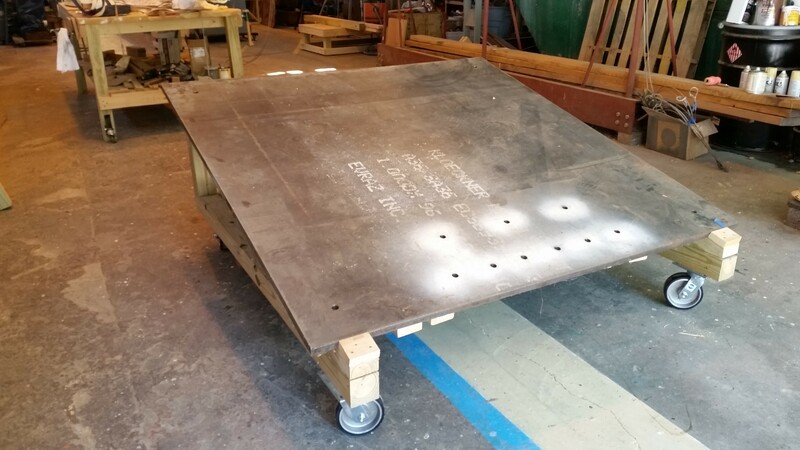 We made trays so we can carry these rails to the boat without stressing joints or thin materials. 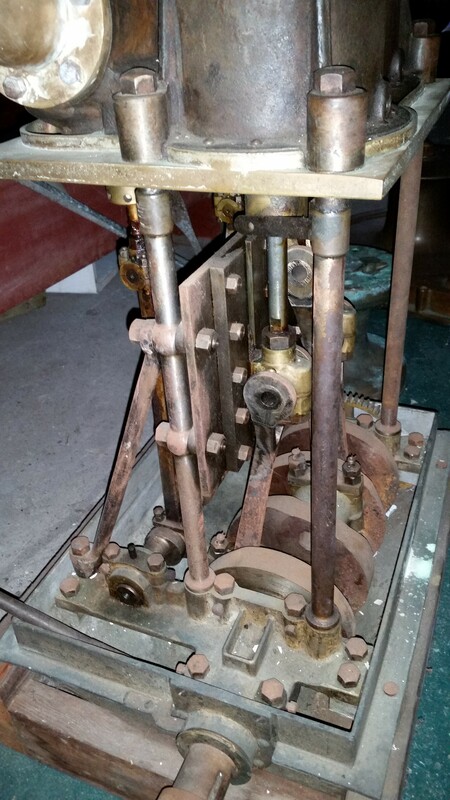 Also included is a picture of the ship’s bell and clapper, made by Burr. 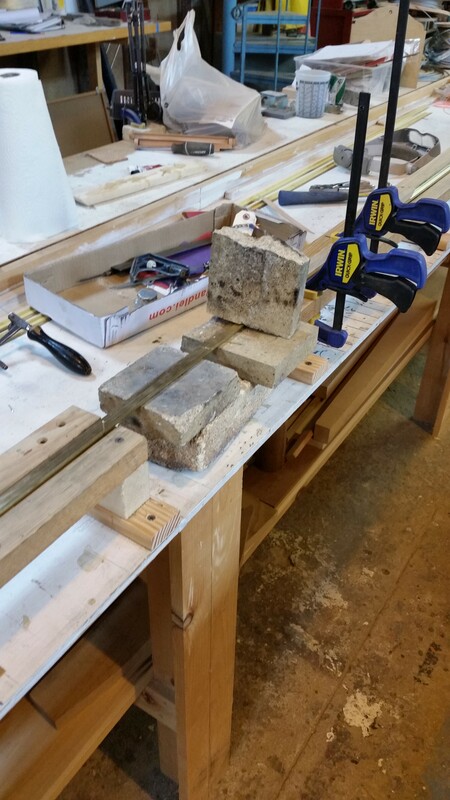 One of our volunteers will make the bell rope and monkey’s fist. 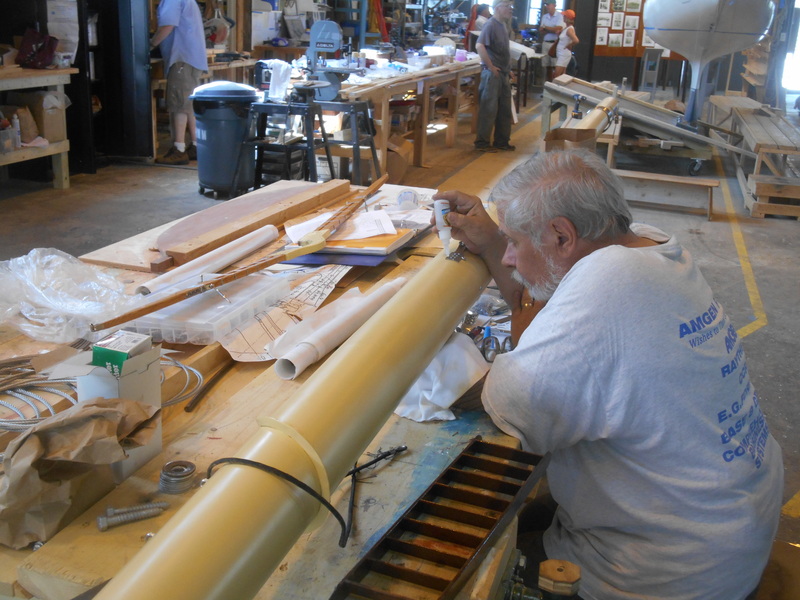 This entry was posted in Project Manager's Welcome and tagged America's Cup, bells, bronx, bronze, building 28, Burr, CAD, Herreshoff, Herreshoff Marine Museum, HMCo, joints, RELIANCE, Reliance Model, RELIANCE Project, rocking the boat, solder, tray on August 5, 2015 by Herreshoff Marine Museum/America's Cup Hall of Fame. 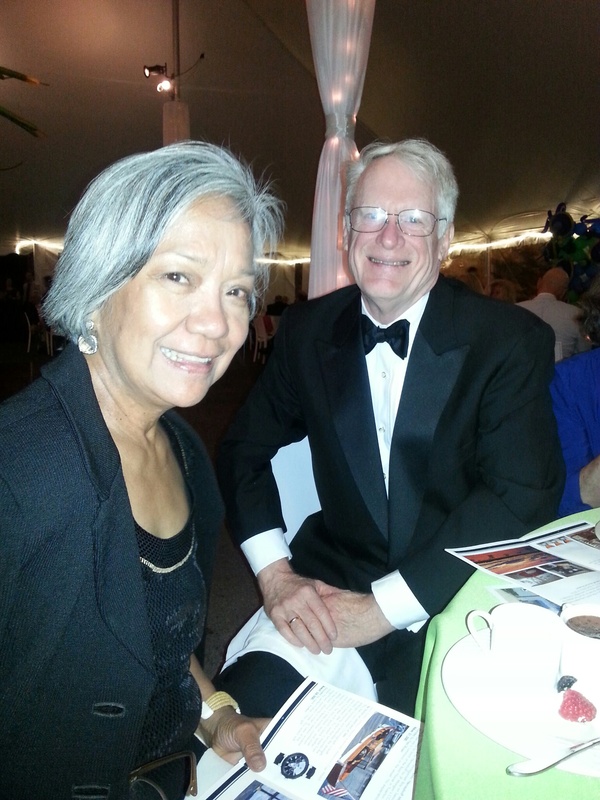 Sandy and his wife Helen recently attended Herreshoff Museum’s summer gala; it’s not often Sandy gets forced into a penguin suit! 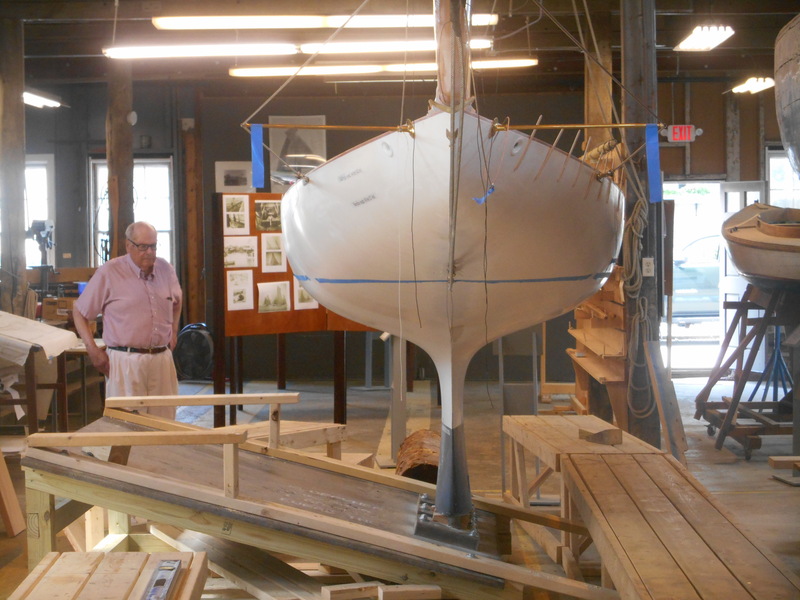 A “reverse auction” raised more than $30,000 for initial architect renderings to house our RELIANCE in all her glory! 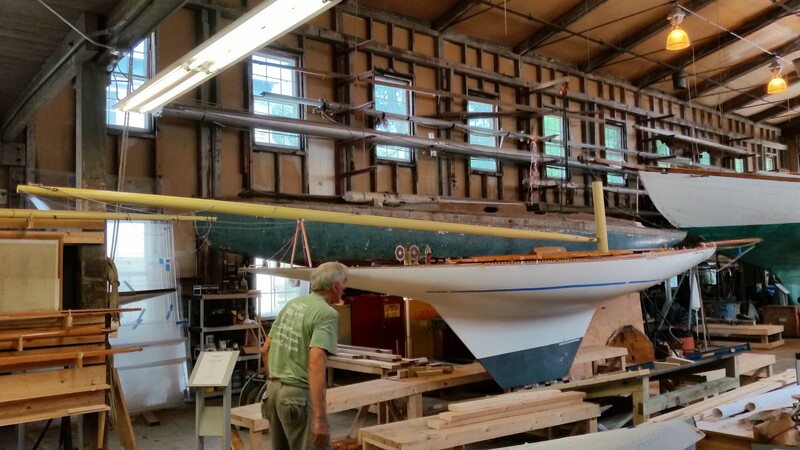 Wow, We’re on our way!!!! 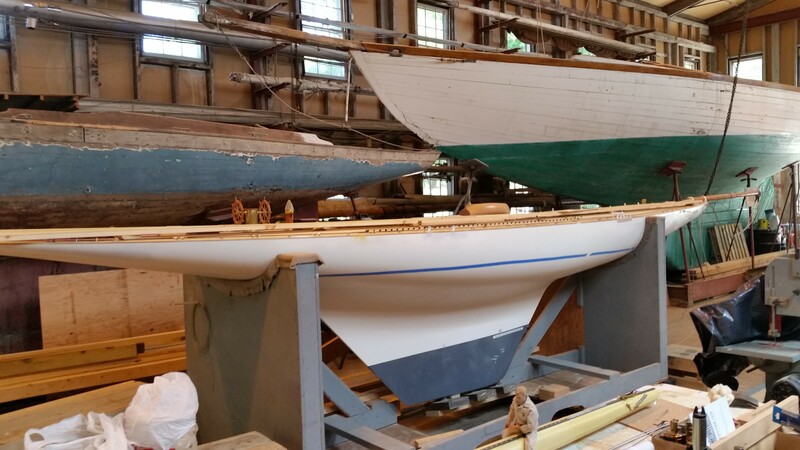 Four US Naval Academy 44′ cruising boats with midshipmen and instructors visited the museum with keynote tours of our project. 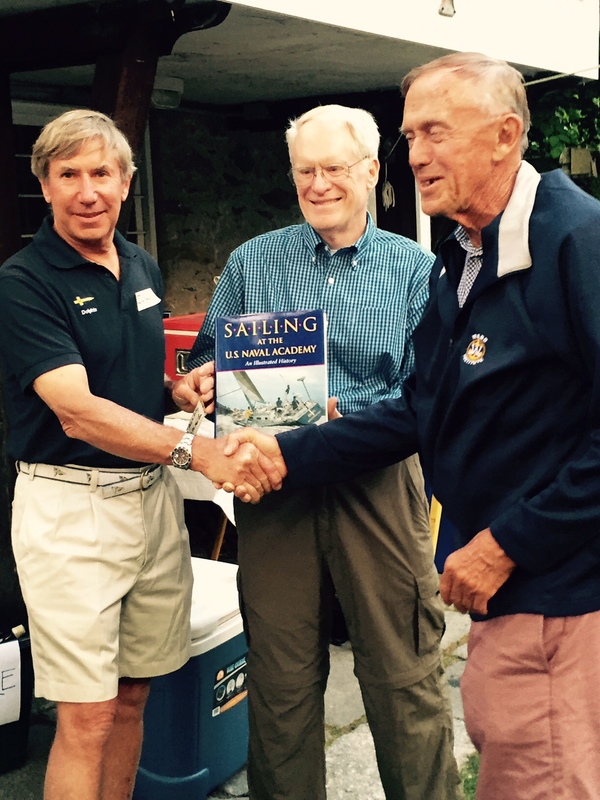 Halsey and Sandy were given a book to commemorate the event. 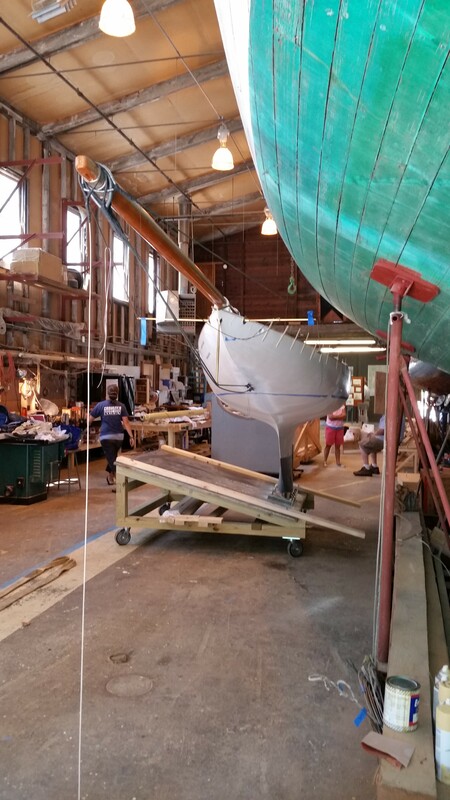 The visit to Bristol was so successful that there are apparent plans underway for a visit next year! 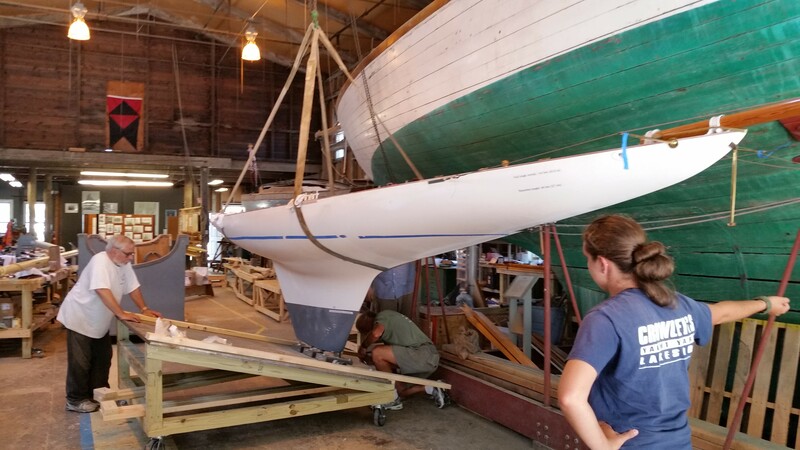 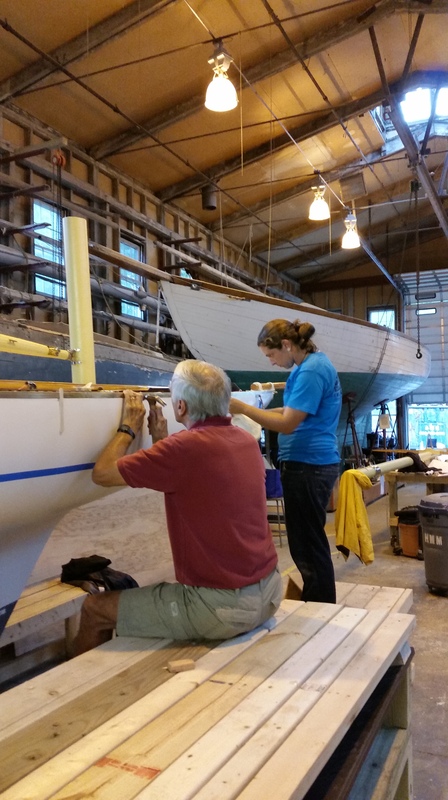 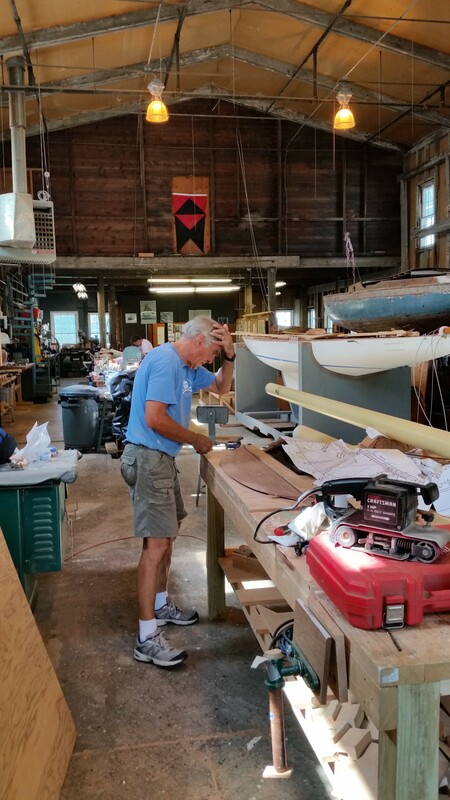 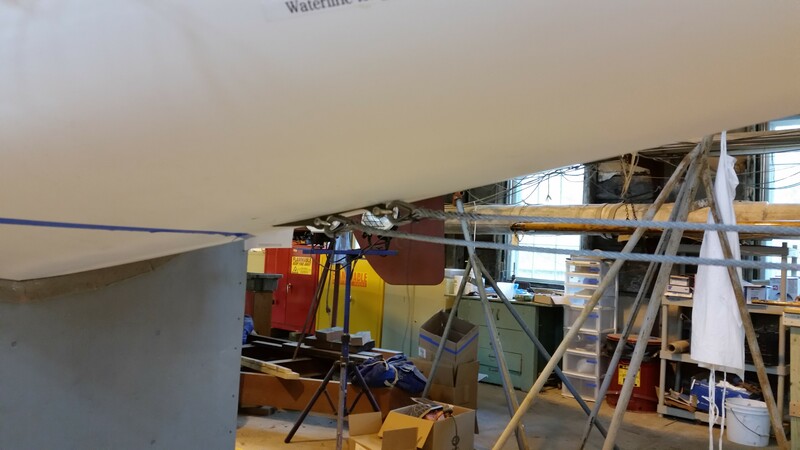 This entry was posted in Project Manager's Welcome and tagged America's Cup, Bristol, building 28, cruising boats, halsey, helen, Herreshoff, Herreshoff Marine Museum, HMCo, instructors, midshipmen, navy, RELIANCE, Reliance Model, RELIANCE Project, Sandy Lee on August 1, 2015 by Herreshoff Marine Museum/America's Cup Hall of Fame.